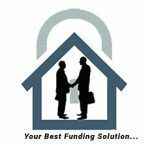 is a private lender in Texas that offers personal loans. Its rates and fees vary per project and borrower. It can lend up to $5 million and can fund loans in as quick as 24 to 72 hours. We searched for Nicholas Financial & Consulting LLC reviews but found no available online ratings. Ready to get started with Nicholas Financial & Consulting LLC? Apply now. Work For Nicholas Financial & Consulting LLC? Claim This Page.